For the past week I’ve been sick with the flu topped off by a very deep and unrecognizable voice change. To the rescue, or in this case, a pick-me-up-with-a-smile, hubby arranged a stellar movie night complete with one of my favorite movies and leading man – Hitman, starring Timothy Oliphant. This role called for someone who was smooth, suave and deadly, a fantastic combination I like to see in movie protagonists. And lets face it, if Oliphant was watching paint dry, I’d pay to see it. Yes, I think he’s just that good and easy on the eyes. Right now I’m on a video game-turned-movie-turned-novel kick and I’m knee-deep in the Assassin’s Creed novels (blog post to follow once I’m finished reading). 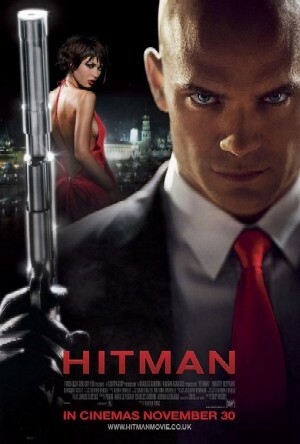 So when hubby mentioned the movie Hitman is based off a video game, I wondered if there was a novel as well. The hunt was on to find out. 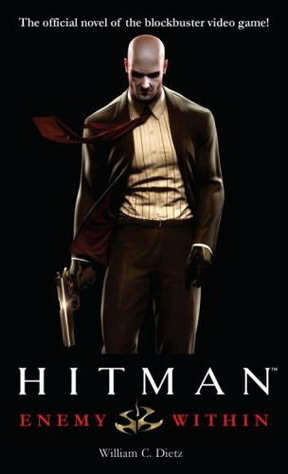 After a few minutes search, I found a novel called Hitman: Enemy Within by William Dietz and saw that it was also based on the video game, a companion of sorts, if you will. I downloaded the free sample, then later, purchased the novel. How do you find then eliminate a traitor? Within the first few pages, this book answers that question and more by diving right into the action. Immediately the reader learns master assassin Agent 47 has a deadly aim and is the doyen of disguises. He’s meticulous, thorough, and above all precise to the point of flawless. The unfolding story of how 47 finds his target is beautifully woven with snippets from 47’s past and we learn exactly why he is the way he is. But there’s a conflict with 47, his old friend and mentor is Father Vittorio. How then can 47 be an assassin? Keep reading, you’ll find out. The sordid elements within this novel is not for the young reader, it’s clearly an adult story. Dietz takes the reader on a fast-paced, wild and unimagined journey around the world. His descriptions of people, places, and things grabs the readers attention and plunges them into the sometimes seedy world 47 is forced to maneuver. Though Agent 47 is a genetically-altered clone assassin, he’s still a full-bodied, interesting character with feelings, desires, and worries of a normal human being. This book did not disappoint. Indeed it was hard to stop turning the pages as each action had an equal and opposite re-action. It was interesting to find out just how it all played out. The end provided some closure, but there were still some plots left dangling which gave the impression of an impending sequel. As this novel was published quite some time ago, I’m not sure a sequel is in the making. But I sure do want to know what became of Marla and the Puissance Treize. This entry was posted in Books and tagged action/adventure, DRAMA, FANTASY, hitman, movie, novel, video game, william dietz. Bookmark the permalink.